Good news to all Pokemon Fans! 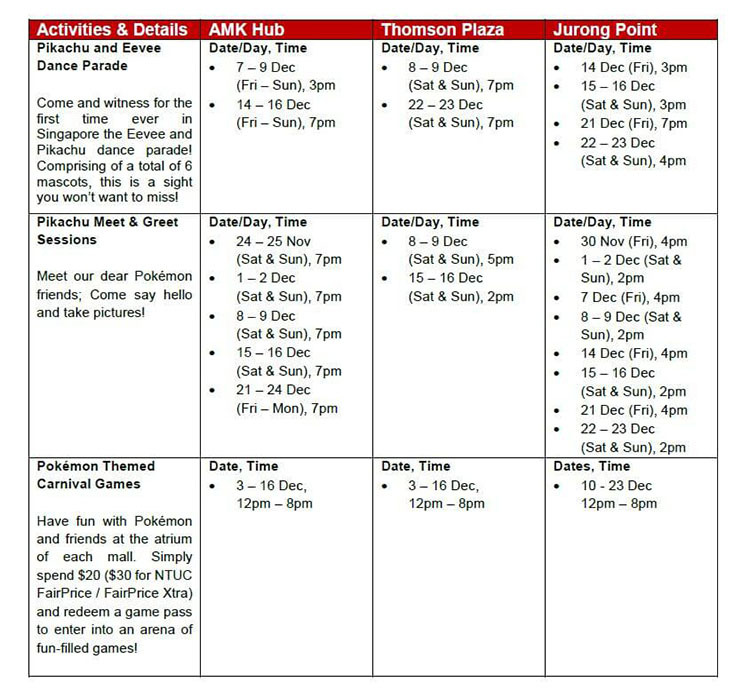 Get ready to enjoy an exciting Pokemon-themed Christmas this holiday season; located at AMK Hub, Jurong Point and Thomson Plaza (M Malls) shopping mall from 16 November to 26 December 2018. 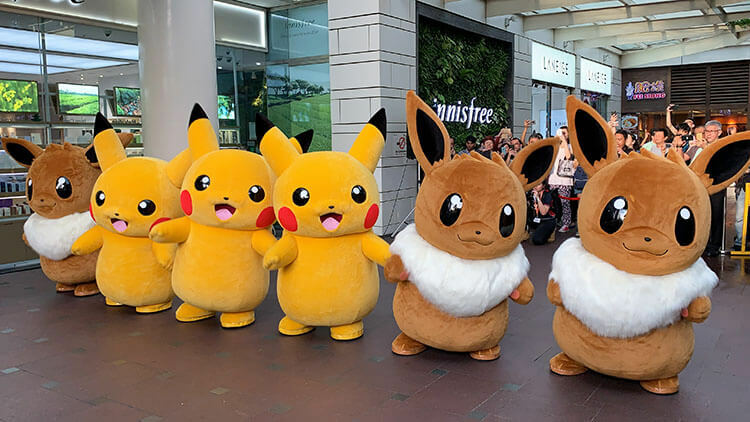 For the first time, a group of 6 Pikachu and Eevee will perform and make a special appearance together in Singapore. Packed with fun-filled activities and performances that bring the all-time favourite Japanese game and cartoon series, M Malls look to create an all-new Christmas experience that shoppers can look forward to. 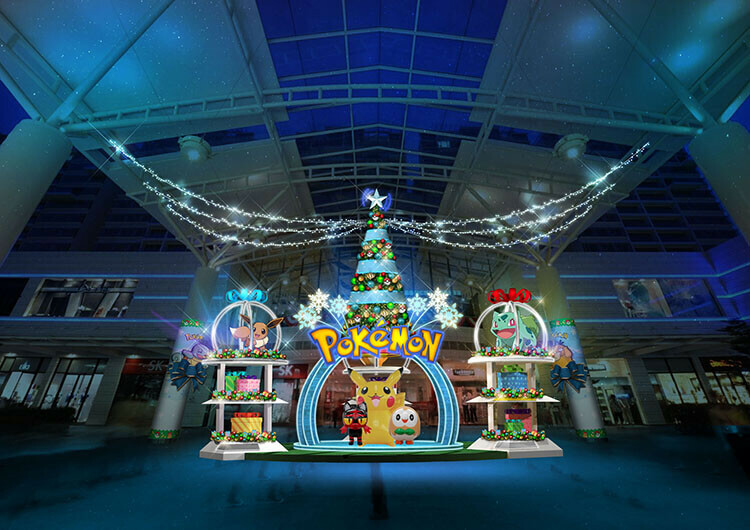 Shoppers can also expect to be bedazzled by the Pokémon installations and Christmas decorations across all M Malls. For Pokemon Fans & Trainer, here are the 4 promotions you shouldn’t miss it! Wrap your gifts with a touch of Pikachu and friends! 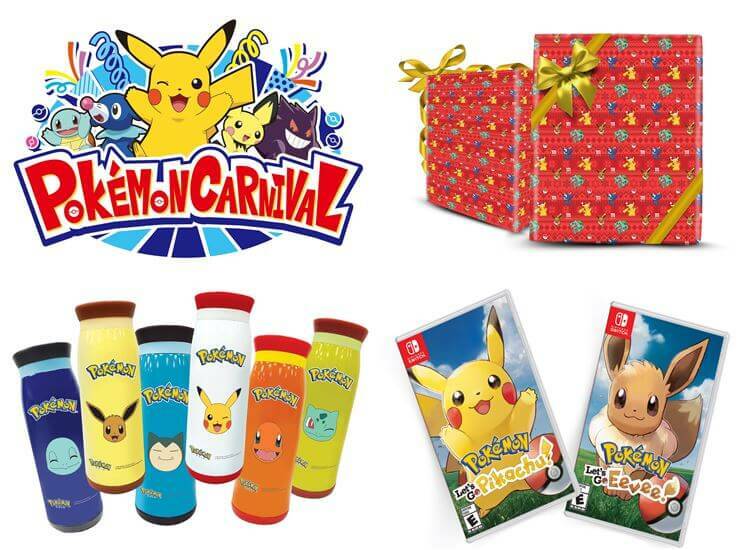 Redeem a set of exclusive Pokémon-themed gift wrapper and game booklet with $80 spent ($120 at NTUC Fairprice / FairPrice Xtra / FairPrice Finest). Whilst stocks last! This Christmas, get toasty and sip on a warm drink in the Limited Edition Pokémon Tumblers! Shoppers can redeem the Limited Edition Pokémon Tumblers with every $160 spent ($240 at NTUC FairPrice / FairPrice Xtra) – in a maximum of 3 combined same-day receipts. There will be 6 exclusive designs to collect, whilst stocks last! Christmas means more cuddles! 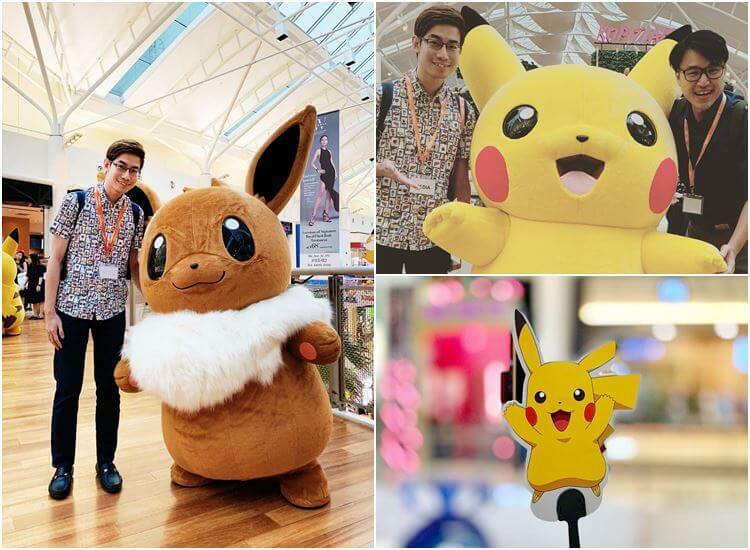 Spend $300 ($450 at FairPrice Xtra / FairPrice Finest) to redeem a special Pokémon Christmas plushie exclusive to M Malls only – in a maximum of 4 combined same-day receipts. There will be 2 exclusive designs to collect, whilst stocks last!